Asian food has always impressed me with its simplistic but flavorful dishes. Grilling is one of the best things to do living in southern California so why not cook up a dish that is easy for any weeknight, great for the family, healthy and most importantly - simple! Below are two recipes for a perfect meal together alone or with some fried rice. They are inspired by the most basic ingredients found in most Asian foods and can be used almost all the time. Mix together soy sauce, honey, ginger and garlic. Microwave for a minute, stir and then again for 30 seconds. Keep in mind that standard heat settings may vary for people so try to microwave at a medium heat, but mainly try not to let the sauce boil. When ready to grill. Drain the excess marinade into a saucepan. Bring to a boil and then let it simmer on medium heat for approximately five minutes. Use this sauce for basting as you grill the chicken. I will be making this for my family. This sounds delicious and I can't wait to taste it. Ooooo, yummy! I love asparagus, but I've never grilled it before, and I've never made it with any of my asian cuisines, I'll have to try them together. What is Sriracha sauce? Is it spicy? We eat asparagus often so I am delighted to see you had this recipe on your who make yours. This entire meal sounds wonderful, thanks for sharing! The flavor in this is wonderful! And asparagus is one of my favorites! I would use brown rice to put my chicken on of. Great post! I could eat a ton of asparagus! It is so healthy for you too. My kids love it. This looks like something my husband would love, thank you for sharing. This recipe looks so delicious and I need to make this for a great Summertime dinner out on the patio. It is an easy recipe. I have never tried asparagus but the whole meal looks so good. Would love to try this recipe. 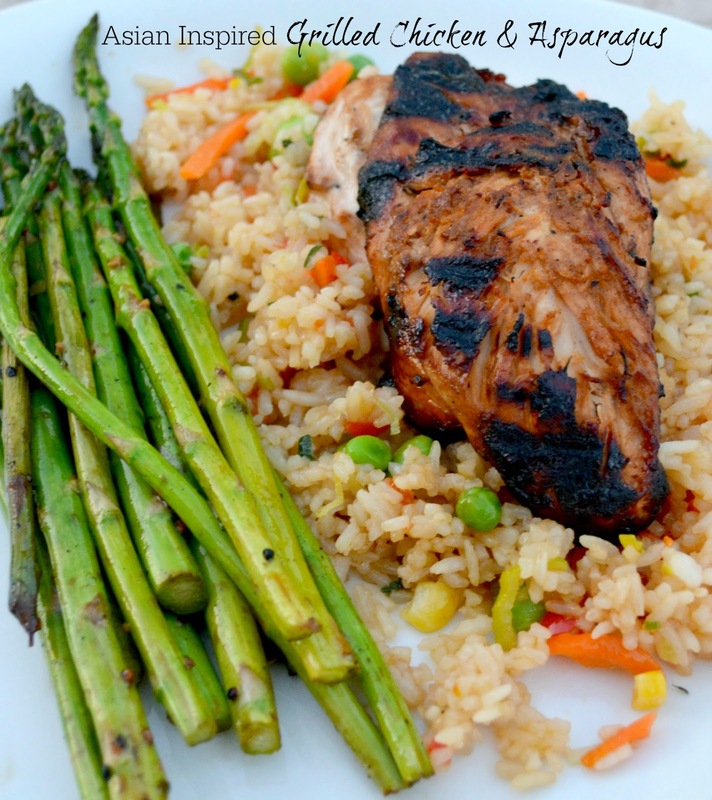 I love grilled chicken, and this looks so delicious and healthy! My family would love this, it seems like it would be easy to make but packs a lot of flavor. The entire dish looks delicious. I love Asian inspired food. This looks so great. 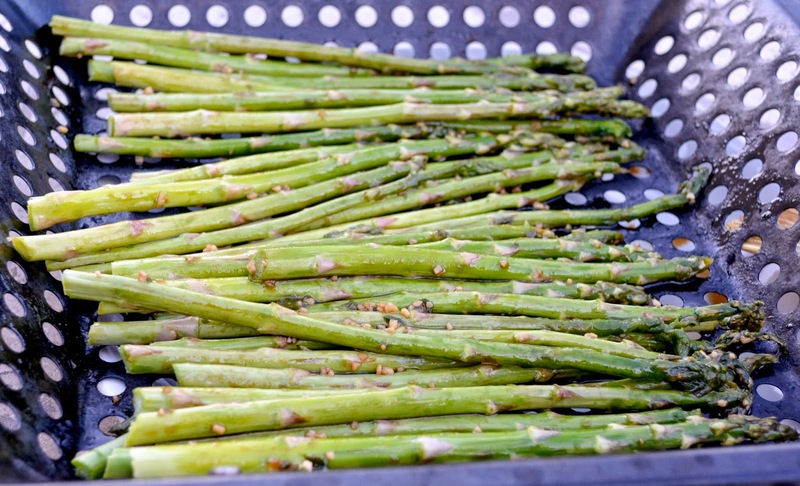 I love anything that can be done on the grill and asparagus is one of my favorites. I don't make it often, but I am craving it now. Thanks for sharing. IM pretty excited to get the grill out with all this warm weather we are having!! This recipe sounds so easy and like it has such fabulous results!! Can't wait to give it a try! !